I received this book as an Advance Reader Copy from Llewellyn Publications via NetGalley. 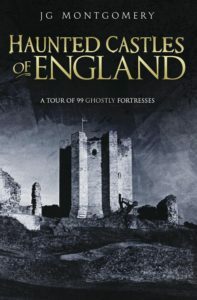 Haunted Castles of England promises to take readers on a jaunt across the nation, exploring a blend of famous and obscure residences in search of the supernatural. And while the title certainly follows through on its claim, I finished the work wanting more. If you are new to reading about British castles or history, then this book is a great introduction to the manors and mansions represented. But I have read extensively about many of the places listed in this book, and I felt that each location was not described in as much detail as could have helped contextualize the haunted tales that went with them. I did appreciate that a few obscure castles or stately residences that were not quite castles were still included in the collection. Also more images to go along with each story would have also been interesting. I don’t know if it appears differently in print versus the ebook version I read, but the images that were included were small and hard to see much detail in. Having more images would make the stories come to life more. The myths themselves and how they were presented became a bit rote after a while. Understandably, there are a lot of castles and stories to cover in a limited amount of time and space. And how many times can you describe a ghost or a noise in the night differently? I think including more historical context or details about eyewitness experiences would have added more color to the stories. I know that with hauntings, much is unknown. But many of the stories seemed incomplete or didn’t have enough details to warrant their inclusion. As I read along, I noticed that many of the castles seemed to share very similar haunted tales or trends in storytelling: the sounds of children playing or the sight of a women in red staring out a window or at the top of a tower. It would have been interesting if the author surmised how so many castles had common threads and why. Why are the ladies usually wearing red and not another color? Why do the same few room types always seem to have activity in them? How do the same people, like Anne Boleyn, appear repeatedly at completely different locations? Perhaps there is no common thread, but I am now curious whether some extra research would show interesting patterns in British history, society, culture, folklore, and thought. The author’s personal interjection of experiences in the castles he did visit, such as Hever Castle, fell a little flat to me. The atmospheres and impressions did not have much weight to them. Comments missing detail, such as saying he felt something but could not describe it, didn’t translate well in writing that relies on description to get a point across to a reader. More details about where he was and the actual things that happened in the moment would have been more interesting. A note about the writing itself: I am a big believer in individual style and approach, and writing a book is no small task. But the overuse of adjectives and adverbs throughout the book became distracting to me as I read. This may be because the same experiences are expounded upon for each of the castles, and I understand that it can be difficult to find unique ways to describe them. But the same adjectives are often used repeatedly to describe things within the same chapter or section. I think the text could benefit from editing to tighten up or diversify the language used to make the descriptions clearer.